$10 SALE on 2 oz Size While Supplies Last! Despite the Latin name, Watercress is not the same plant as the flowers popularly known as nasturtiums (Tropaeolum majus), however it is a sister taxon to the Brassicaceae family of which Watercress is a member. The Watercress plants used in this tincture are wild harvested in the Salmon River range of the Rocky Mountains from an area known to be free of the use of pesticides and herbicides, or polluted water runoff. It is important to buy Watercress that has not been growing in water that drains from fields near animal pasturing where manure can be a haven for the deadly liver fluke parasite (Fasciola hepatica). Often referred to as "Nature's Vitamin", Watercress is listed as a super food. It is bursting with Vitamins A, C and K. It contains more calcium than milk and more iron than spinach. 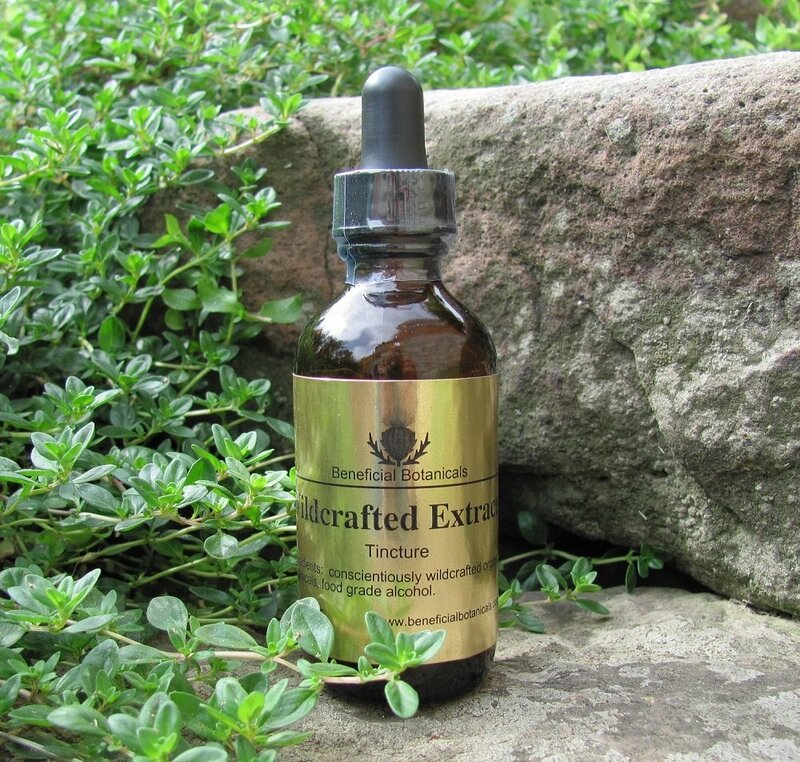 The benefit of using a Watercress tincture as opposed to taking vitamin and mineral supplements is that it contains a good amount of trace minerals such as magnesium, potassium, and iodine for healthy cell metabolism. Antioxidant - The nutrients in Watercress work to block free radicals from causing damage to healthy cells. pH Balancing - Watercress adds alkalinity to balance pH in the body where it is regularly too acidic --a common problem from what we eat. You can easily run a pH test at home with urine test strips to see the results. Studies have indicated that acidic body pH over long periods of time invite and even promote diseases caused by abnormal cell growth. Hypothyroidism and Gout - Watercress contains the mineral iodine and can be most helpful to ease the onset of gout. An iodine deficiency may affect the health of your thyroid gland which, according to the Unviersity of Maryland Medical Center, thyroid problems can increase your risk of developing gout. Treating Anemia - According to Web MD, anemia effects about 3.5 million Americans. Watercress contains a highly bio-available source of iron that works to increase red blood cell prodcution to treat iron-deficiency. Supression of Breast Cancer Cell Development - A 2010 study at the University of Southampton revealed that a compound in Watercress may have the ability to suppress breast cancer cell development by "turning off" a signal in the body and thereby starving the growing tumor of essential blood and oxygen. A general dosage for Watercress tincture is suggested at 1 teaspoon in warm water twice daily. For specific and long term treatments, work with a healthcare professional who is familiar with the use of Watercress as a part of a total protocol plan. Warfarin (Coumadin) - Watercress contains large amounts of vitamin K. Vitamin K is used by the body to help blood clot. Warfarin is used to slow blood clotting. By helping the blood clot, watercress might decrease the effectiveness of this drug. Chlorzoxazone - Watercress is a known inhibitor of the cytochrome P450 CYP2E1 which may result in altered drug metabolism for individuals on certain medications such as Chlorzoxazone, a muscle relaxant used to treat muscle spasm. Lithium - Watercress might have an effect like a water pill or "diuretic." Taking watercress might decrease how well the body gets rid of lithium. This could increase how much lithium is in the body and result in serious side effects. Watercress is UNSAFE in medicinal amounts during pregnancy. It might start menstruation and cause a miscarriage. Not enough is known about the use of watercress during breast-feeding. Stay on the safe side and avoid use. Science Daily, "Watercress May 'Turn Off' Breast Cancer Signal". 2010 study at the University of Southampton. "Effects of Watercress Consumption on Metabolism of a Tobacco-Specific Lung Carcinogen in Smokers" Hecht SS, Chung LF, Richie JP, et al. 1 December 1995. "Effects of Watercress Consumption on Urinary Metabolites of Nicotine in Smokers" Hecht SS, Carmella S, Murphy SE October 1999.